Saturday was the first time I’ve seen doom-laden ‘Rolling News’ culture collide with beer culture. Twitter on the afternoon of 4th May was a boiling tide of beer lover’s anger. 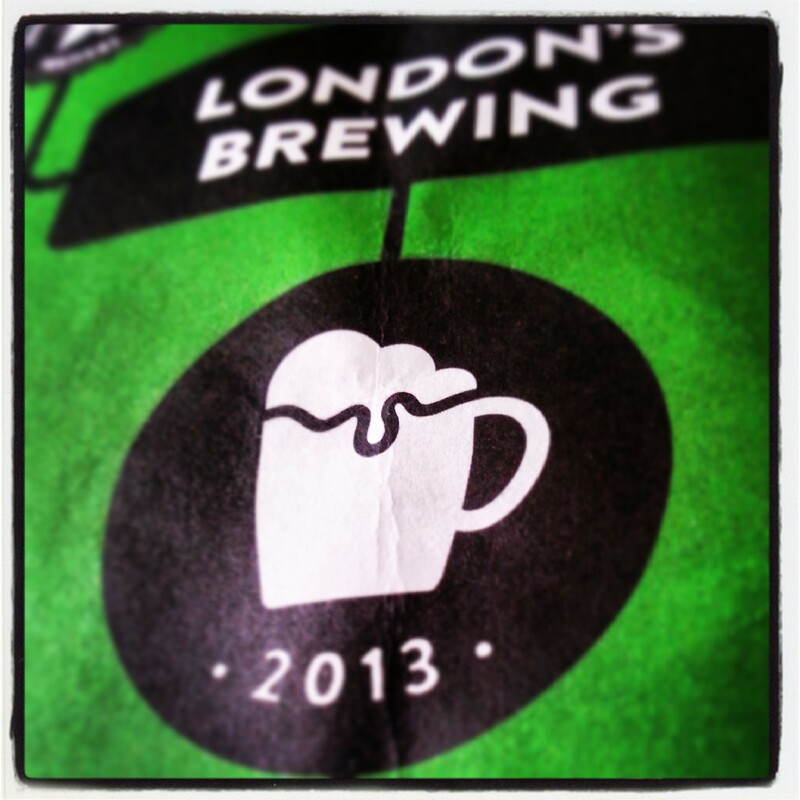 Increasingly frustrated reports were coming from London Fields Brewery, where London’s Brewing, the new beer festival from the London Brewers Alliance (LBA), was being held. The queues, the people cried, the queues. For a while the event didn’t even open. When it did, and the queuing was over, it was reportedly even worse inside: packed bars where waiting times were said to be 30 minutes or more, and kegs hooked up to wrong taps. Above these alarming and basic errors was a weird sense of hopelessness, as though it wasn’t possible for things to improve and that it was a write-off. People left in droves and demanded refunds. I’ve never heard of anything like this happening at a beer festival. So imagine me, looking at Twitter on Saturday, with tickets for the session on Sunday. I was a little worried. Assurances were made that a new, extra bar would help ease queuing, and that concerns had been listened to. I should make it clear that I had A Good Time at London’s Brewing on Sunday afternoon, and that all the beer I had was well-kept and in good condition. As such, I can only comment in detail on my experience on Sunday afternoon, not what happened in the other sessions. What follows is not a litany of complaints. That would be almost as boring as a 30 minute queue for a beer. What follows should hopefully be fair and constructive. We all want these events to be the best they can be, right? If we are to accept that London – and the UK at large – is going through a Beer Renaissance, then it is the duty of those who care passionately about beer to call out anything that is simply not good enough. Whilst London’s Brewing had the right ingredients of Good Beer, Good Food, Good People and even, shockingly, Good Weather, it did not have Good Organisation. 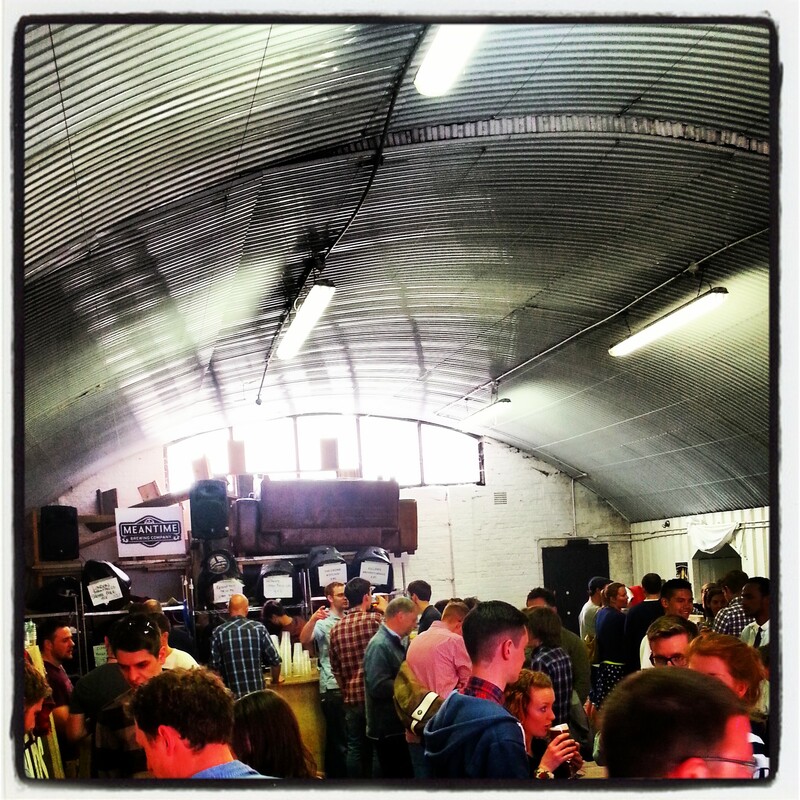 In a recent post about Craft Beer Rising in comparison to CAMRA beer festivals, I said how CAMRA-style festivals will always have their place alongside the more hipster-friendly, foodie events, large and small, that are taking place in increasing numbers. This point was made even more clear to me at London’s Brewing. Say what you will about CAMRA, but their organisational skills for beer festivals are unsurpassed. At London’s Brewing, so many basic things were missing: no prices per third/half/pint on the casks behind the bar, no ABVs on beer menus and price lists, and no indications in the programme of where any beer may or not be found across the three bars. A personal complaint was that nobody knew if I could buy one of the extremely cool green staff t-shirts (I love the Thames river/dimple mug logo), or where to find out. 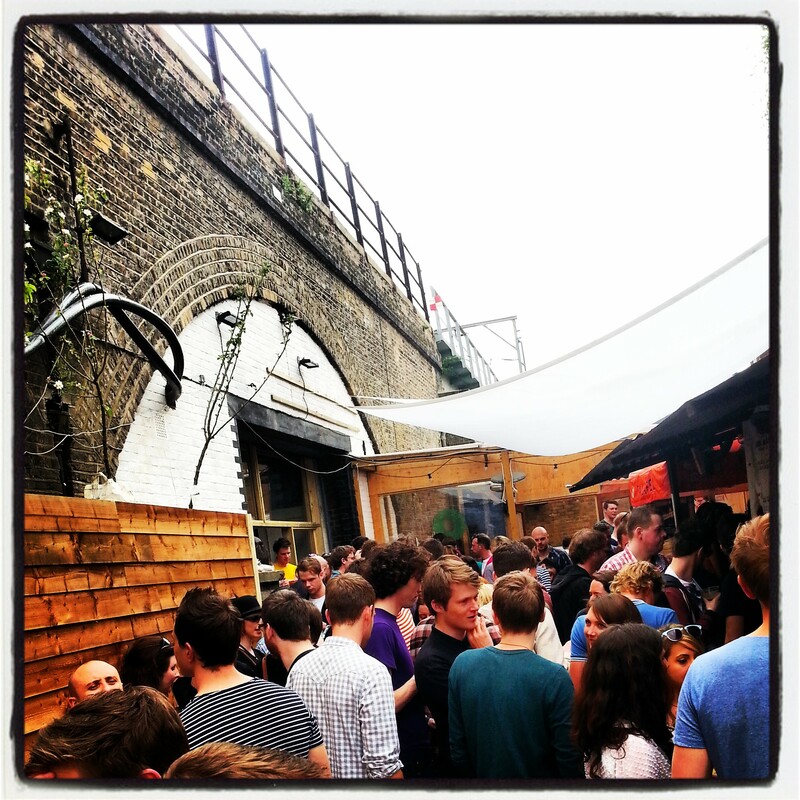 In a venue as small as London Fields Brewery’s event space, crammed under a railway arch, the organisation needs to be as tight as drum to prevent frustration. This was not the case. However, as harshly as the event has been judged over the weekend, it was not without merit by any means. As I said above, the beer was great. I had an opportunity to try beers from breweries like Weird Beard, Five Points, Howling Hops and Pressure Drop, which are either so new I haven’t noticed their founding, or in parts of London that I rarely visit. There was great food here. I had a Korean fried chicken burger from Thank Cluck that was simply sublime: that perfect chicken burger combination of crunchy lettuce, juicy thigh meat, crispy coating, hot sauce and cool mayo. A simple, wonderful marvel. Big Apple Hot Dogs, Mexican food vendor Luardos and the Falafel-slingers Hoxton Beach were also present, filling hungry faces and generating greasy chins and sloppy grins. Whilst people complained at the crush of bodies in several areas, just as many were having a good time. 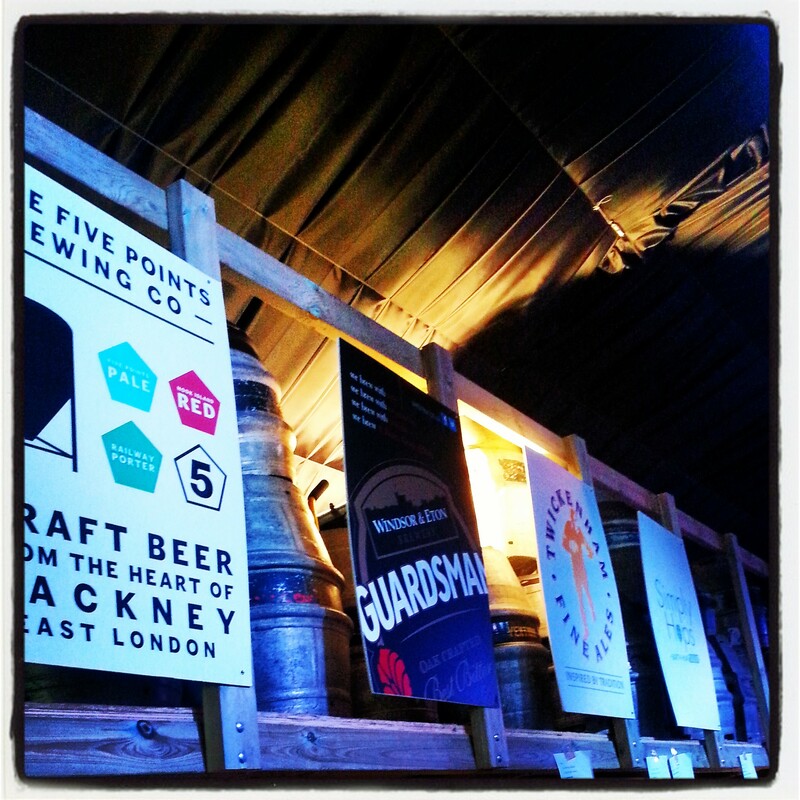 London Fields Brewery has several further beer events coming later this year as part of the British Craft Beer Challenge. These four separate events will pit the best of British beer against foes from USA, Europe and the rest of the world. London Fields will have to look very closely at how to achieve a much more satisfying experience for the capital’s beer lovers, who, after the impression left by London’s Brewing, will be less likely to invite their friends from outside London to what might otherwise be extremely exciting events. I followed these complaints the other day; and I have to say that I thought this would happen at some point! As you mention in the post, setting up a beer festival is not an easy job; it makes you appreciate the work that goes in to good ones. Perhaps an underestimation of how popular ‘craft beer’ is these days could be to blame, too? Teething troubles, perhaps, but it’s not enough just to cram a small space full of hipsters. It’s got to be about beer, at the end of the day. Fingers crossed for next year! Thanks Leigh, a very good point. I actually heard somebody say on the day that ‘we might as well have Olympia’ half in jest, but if the rate of brewery openings keeps steady, next year we really will need Olympia. I really do think that something like this was bound to happen at some point! I guess every process needs hiccups to iron out. It was really interesting watching it all unfold on twitter though. Really. The thing I just didn’t understand about the whole organisation was that they sold all their tickets upfront for time set sessions, therefore you think they should have had a good idea of the amount of people that would turn up and at what time and that the venue was woefully inadequate. I went on the Sunday afternoon and managed to get my 9 1/3 pints (while I couldn’t actually pick any, you’d go up and see what they actually had and most of them were good) but we did stand outside on the street the entire time because there was just no room to move anywhere else. I guess I was operating under the misunderstanding that the venue was in part the actual London Fields and was faced with not lying back on the grass with some good beers, but standing in the street feeling a bit anxious about all the small kids playing on it. You’re right Jo, it does seem weird to sell that number of tickets given the size of the space they had to work with. I think they really underestimated how quickly that alleyway would become a bottleneck, stopping people from getting to any other area. Using London Fields itself would have been far better!